Description: Purchase qualifying Curt Group products and be entered to win a Jeep! Drawing at SEMA 2019. See link for details! Description: Receive up to $150 in rebates on qualified Airlift products. See link for details. Description: Receive a $25 Prepaid Mastercard with qualifying purchases of AVS Aeroskin Lightshields. See link for details. Description: Receive up to $100 back on qualifying Bestop soft top Jeep covers. See link for details. Description: Get 5% back on ALL Go Rhino purchases from Titan Truck. We track. You earn. Must be registered as a Total Truck Center to qualify. Most Titan Truck jobbers are registered. Click here to register or for details. Description: Claim a $50 Prepaid Mastercard with every set of 4 Bushwacker Fender Flares. Jobbers only. See link for details. Description: Get $75 back on qualifying purchases of Curt 5th Wheel Hitches. See link for details. 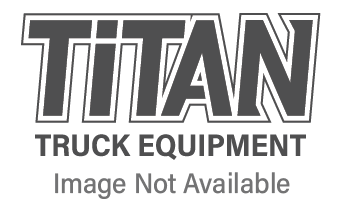 Description: Get 5% back on ALL Big Country purchases from Titan Truck. We track. You earn. Must be registered as a Total Truck Center to qualify. Most Titan Truck jobbers are registered. Click here to register or for details. Description: Get 2% back on ALL CURT purchases from Titan Truck. We track. You earn. Must be registered as a Total Truck Center to qualify. Most Titan Truck jobbers are registered. Click here to register or for details. Description: Get 5% back on ALL Bushwacker purchases from Titan Truck. We track. You earn. Must be registered as a Total Truck Center to qualify. Most Titan Truck jobbers are registered. Click here to register or for details. Description: Purchase a Retrax Pro MX Tonneau Cover and get a FREE Swingcase! See link for details.